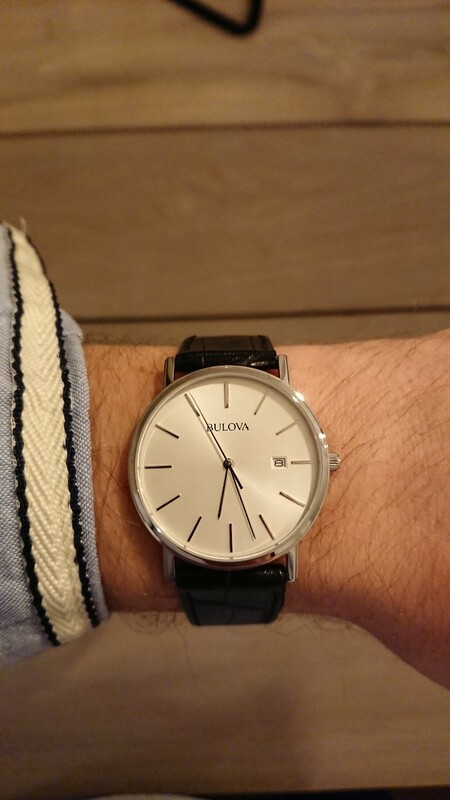 I have recently been looking to buy a dress watch for the rare occasion i'm wearing a suit. Doesn't happen that often, occasionally at work and then weddings and special events. 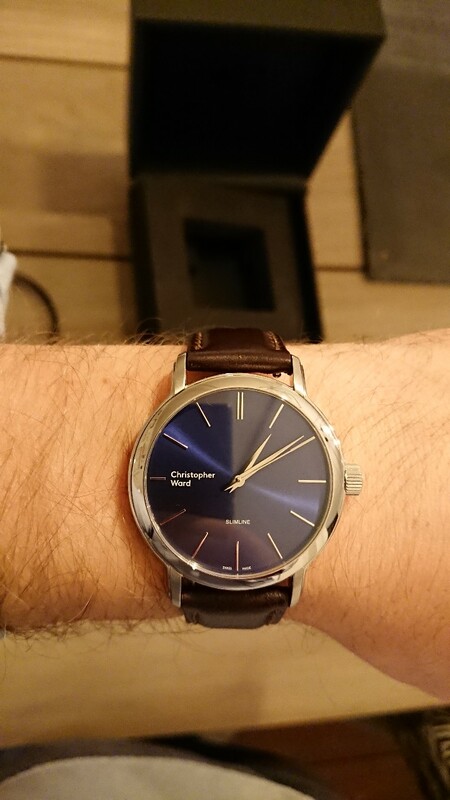 I had hoped my C1 Grand Malvern PR would be that watch but unfortunately its just slightly too big (high) to comfortably sit under the cuff my formal shirts. 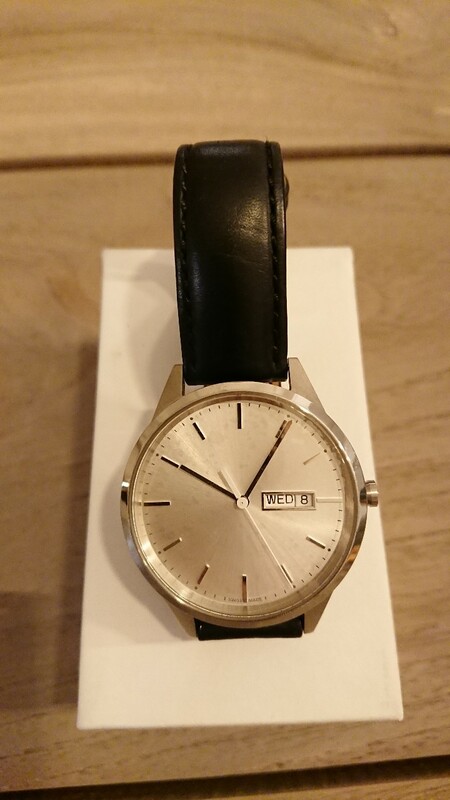 So I bought a couple of watches in the Nearly New sale that i thought my be the answer.... i wasnt 100% sure so I bought another cheap option from Amazon and a 2nd hand option from ebay. Now I need to decide what to keep. Now for some pics, some thoughts and then hopefully lots of helpful replies . Feel free to comment on what i have or throw out some other suggestions if you think i should be looking elsewhere. The watch looks great, its automatic, feels like good quality and i like the display back. Downsides: Its only a little thinner than the C1GMPR so maybe might still catch on my cuff and its the most expensive option. Again good quaility watch, very thin. 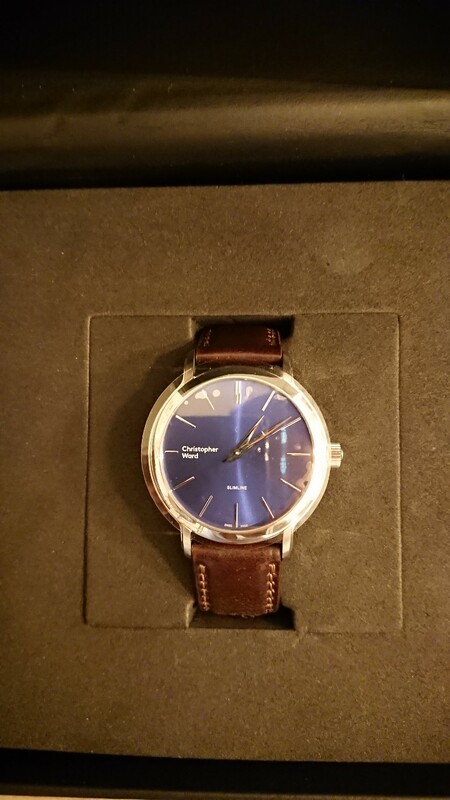 Downsides: Im not 100% sure about the blue dial although looked better in my opinion on a black strap than the supplied dark brown. I prefer the C5 Malvern auto MK III design. More expensive than the quartz options. I really like the clean unbranded look of the watch. Good size, good case quality, fits well and was under £100 2nd hand. Downsides: its quartz, not in mint condition, not of the same quality as CW options. Again i like the design, its thin, its brand new. Downsides: Quartz and feels a little cheap maybe. Its hard to decide, i guess thats why so many people on here have so many watches! See here. You have options. Can’t speak for the others but the C1 and Slimline are not purely dress watches. 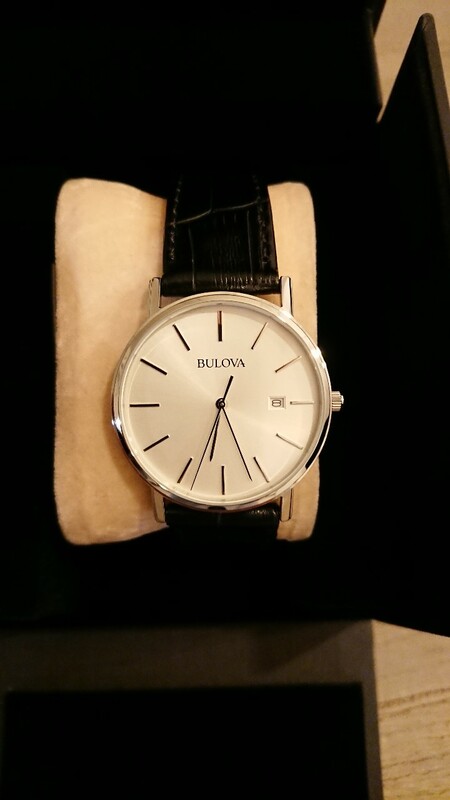 They are just nice watches suitable for smart or casual wear. My C1 GMPR fits perfectly under my cuff no problem in the office. Works beutifully as a dress watch. 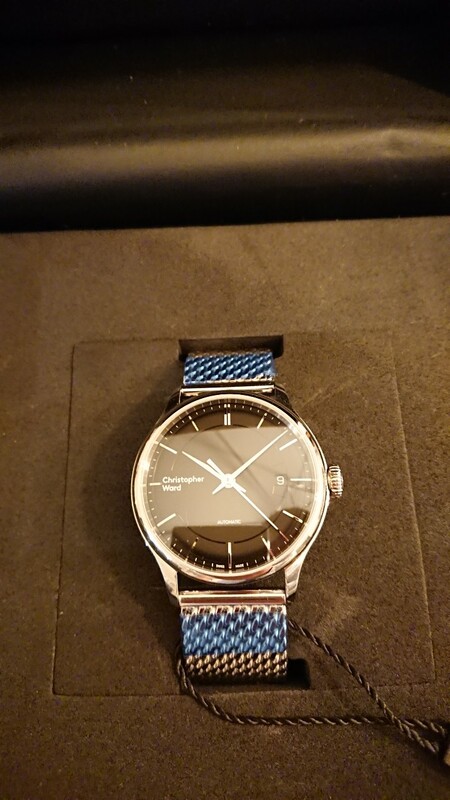 For a dress watch that you are going to wear occasionally, I feel it should be something special, a talking point maybe (for those so inclined). Therefore it's the C1 - a real cracker so I'd agree with buying some new shirts! IMHO, quartz is boring - ok for a beater or to trash it while doing something crazy. 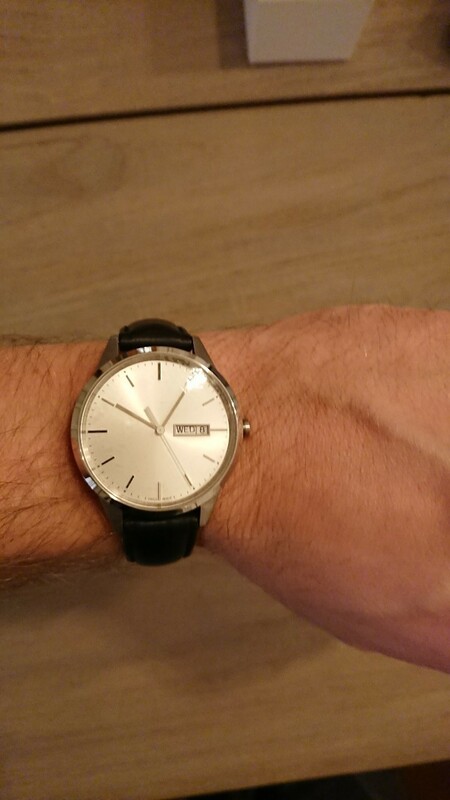 I'd keep the C5 Malvern on the bracelet too, very nice and has a date window so useful counterpoint to the C1. The CW low profile efforts don't do anything for me, too plain, so I'd ditch the C5 Slimline for something more interesting even though it is nice and thin, because there are plenty of low profile designs from other marques to pique one's fancies. Err, and why not for example! Double sunk dial, applied indices, date and 7.3mm - much thinner than the C5 Slimline. Oh, and automatic. As we’ve already said you have the perfect watch. The C1 GMPR. Just get some decent shirts with proper double cuffs.